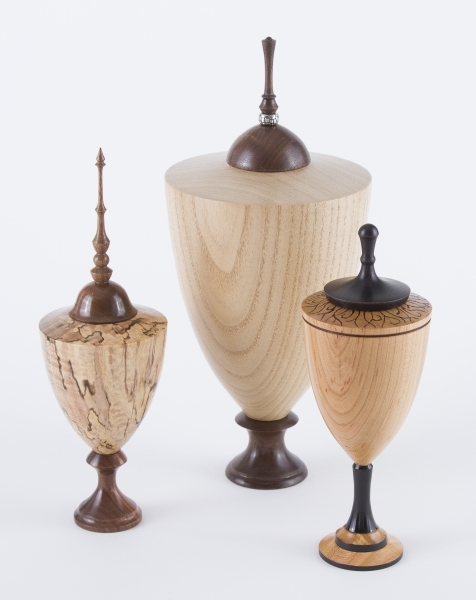 Doug Davis will demonstrate "Making Finials"
Doug is a member of the Keystone Woodturners. He have been making ornaments and urns with long, perfectly shaped finials for several years. He has develop a technique for making long finials that look delicate but are strong and can withstand many years of use. Doug will discuss choosing the correct wood for a finial, mounting the wood on a chuck, and how to get the smallest end without breaking the finial. This entry was posted in Posts on June 16, 2016 by Robert Antonishak.